DNA testing used to be an expensive process we’d hear about in paternity court. Now it’s as easy as buying gluten-free cookies. Last month I tested myself and my kids through 23andme.com after reading about ways we might predict health risks through our genes. I was also interested in finding clues to our ancestry beyond the rumors that have trickled down through several generations of American pioneering. I got far more than $99 worth of surprises. At first I thought the results were badly flawed. My kids DNA results showed oddly high values with another registered member – enough to be a close relative. (None of our known relatives had taken this test.) I pulled up my husband’s DNA results taken a few years ago, and the same member showed even higher values – enough to be his granddaughter! It seemed absurd, and we sent an inquiry to the mystery lady to confirm the mistake. On the same day we received a response that was equally doubtful. The woman shared that she was adopted and knew nothing about her parents. Then, like an explosion of rainbows, we read that she was born in the same town where my husband’s family lived! The truth was ready to be free. After awkward phone calls to relatives, we confirmed that there was a mystery baby born 27 years ago…my husband’s half-sister! I can’t begin to describe the excitement that surrounds this discovery! How do we start this new relationship? How is the father going to respond? How can we help find her mother? How can we learn more about each other when we live 2,000 miles apart? DNA testing, particularly with 23andme’s DNA relatives feature, can help people solve mysteries and fill gaps in their family trees that were obscured by secrets, ignorance, or myths. Within a week I found connections around the world with cousins, and have my own big mysteries to solve. There is sense of unity when I see how we share DNA with ethnicities from around the world, including Africa and Asia. Might we relieve some of our racial tensions if we educate our children on these links early in life? Additional services such as GEDMatch.com help provide a more thorough analysis of ancestral origin, and the exact percentages may slightly vary depending on the type of calculation. 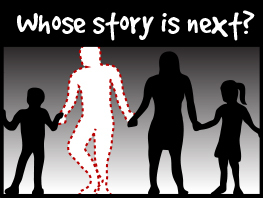 GEDMatch operates by donation, and members use a special GEDMatch kit number to compare themselves with others in the large database. This system helped me connect with a distant cousin from Ireland within a day! Though 23andme stopped reporting health risks in 2013, they offer an overview of risks based on user surveys. There is even a page of links to 3rd party tools for some of us who have been bitten by the bug. 23andme.com provides one raw DNA file that can be run through various databases for ancestry or health analysis. For example, specific traits and health risks (good and bad) can be estimated online for $5 at Promethease.com. Put aside a few hours of time for reading through the results, and realize that these genetic associations do not guarantee that you are truly at risk or have any particular condition. This analysis helped me recognize the importance of sharing my genetic information with doctors before taking certain medications or undergoing surgery, as I could be at risk for dangerous side effects. It also drove home the importance of a heart-healthy lifestyle instead of spending all of my days in front of this screen. For years, genealogy junkies around the world have enjoyed the sophisticated search tools at ancestry.com. While this is not inexpensive, the thrill of proving that an uncle had a secret marriage can be quite satisfying. This web service helps preserve important family photos, notes, and documents while providing easy access to census data, birth certificates, graves, and other clues that build a more credible family tree. These tools are creating a new chapter of health, poetically written by our ancestors as much as our individual pens. Happy Newfound Father’s Day to that special guy in our lives! Amazing work, Shari!! Really exciting to discover a new family member! !